One of the most important phases of a transformational journey is being introduced to the community around the hero. 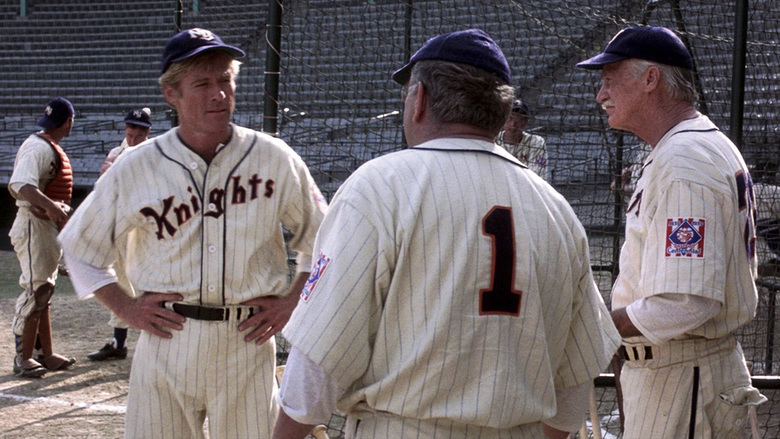 For baseball players, like Roy Hobbs, the community includes teammates, coaches, and others who are consistently around the team like trainers, mental game coaches, etc. Biblically, this theme and idea appears time after time. One of the capstone verses around this idea appears in Hebrews 12:1 when the author of the letter says, “Therefore, since we are surrounded by so great a cloud of witnesses, let us also lay aside every weight, and sin which clings so closely, and let us run with endurance the race that is set before us…” The heading of that section points to Jesus, the Founder and Perfecter of Our Faith, as the one who places this cloud of witnesses all around us. This brings me to wonder this - when we stand beside brothers and sisters in Christ through their trials, will we also receive a treasure in heaven? When we choose to stand by a teammate or a friend in their most difficult times, what do we gain? I’m not suggesting that we should do so for a personal gain, but I wonder if we will be rewarded in some way later. If nothing else, we should seek to grow the community around us and grow that community for others as well.